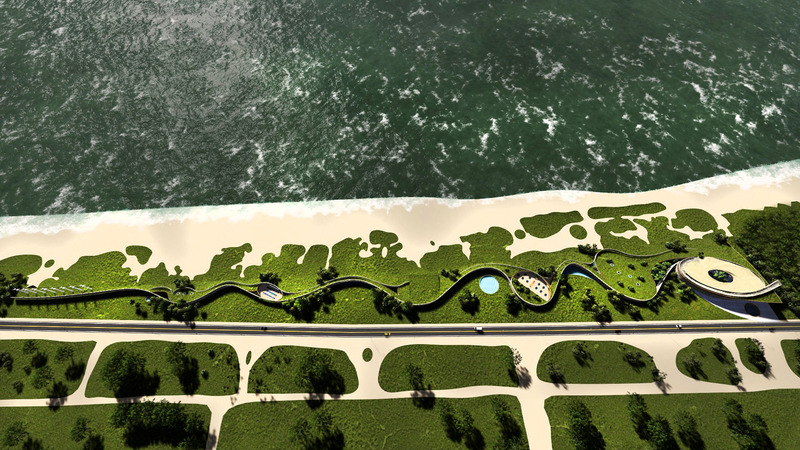 A sinuous rock wall follows the entire length of the narrow and long piece of land in Costa do Descobrimento, between the road, the beach and the ocean. 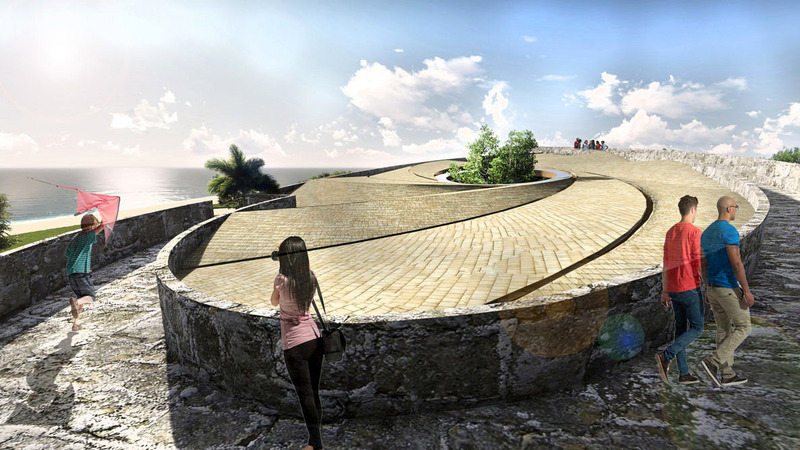 It is a mark, just like the first European inhabitants used to mark the coast of Brazil with their walls and fortifications. 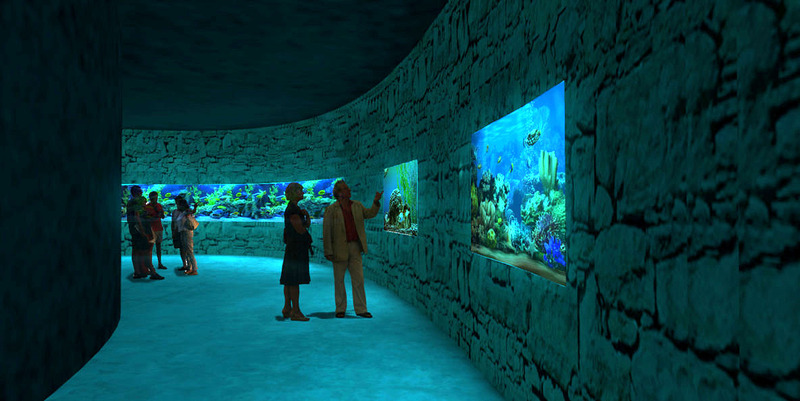 Like in coral environments, in a process that is reminiscent of the concentration of reef-organisms, this wall aggregates the many buildings of the museum. 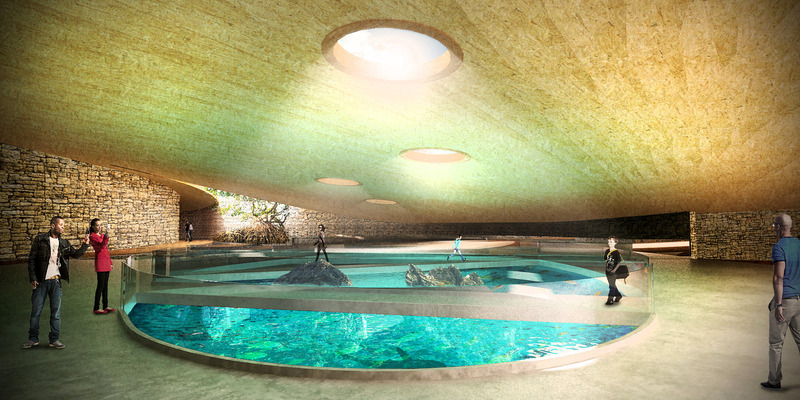 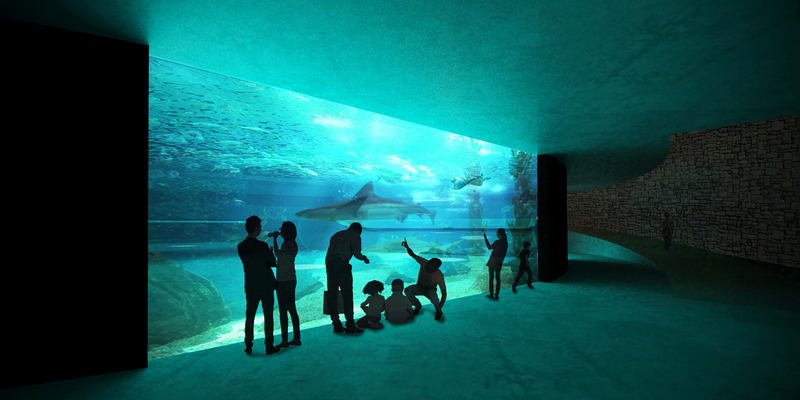 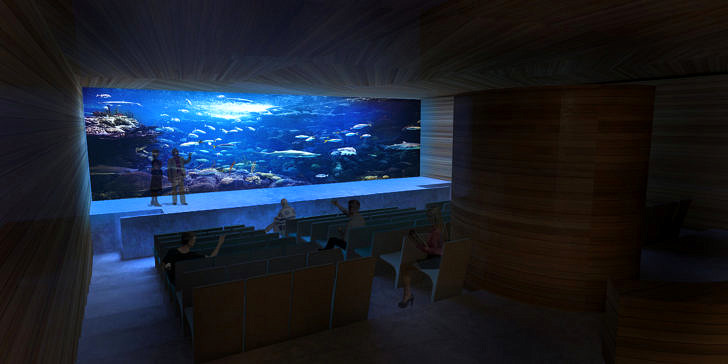 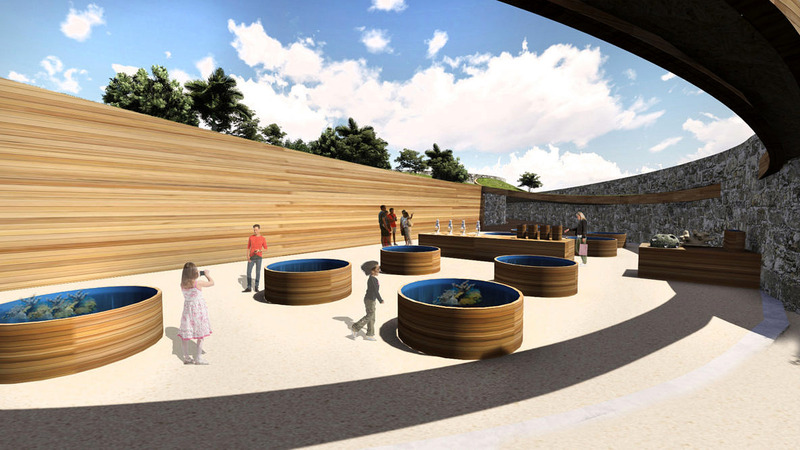 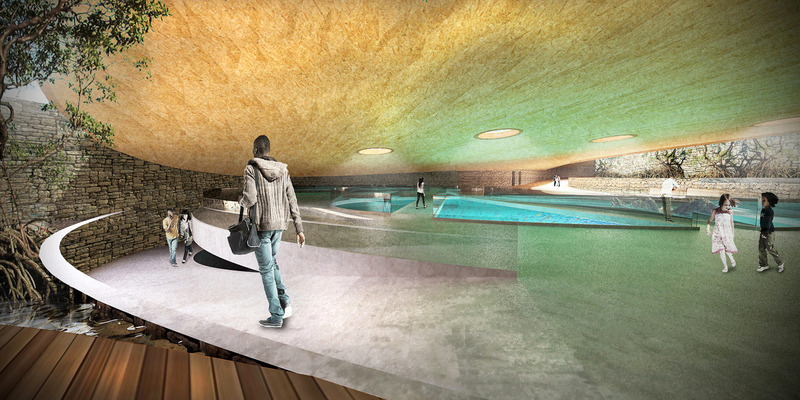 The exhibition environments of the several aquatic and terrestrial biomes of our country are placed in succession. 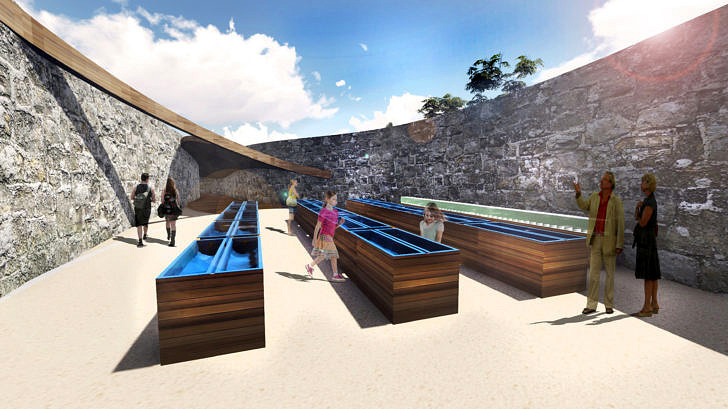 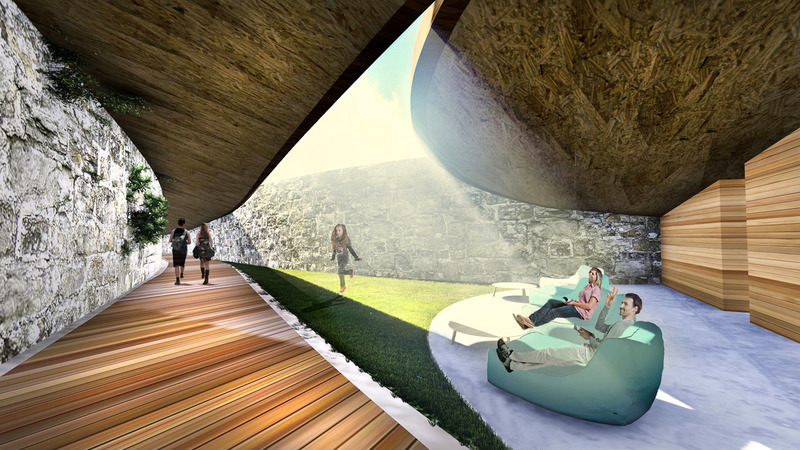 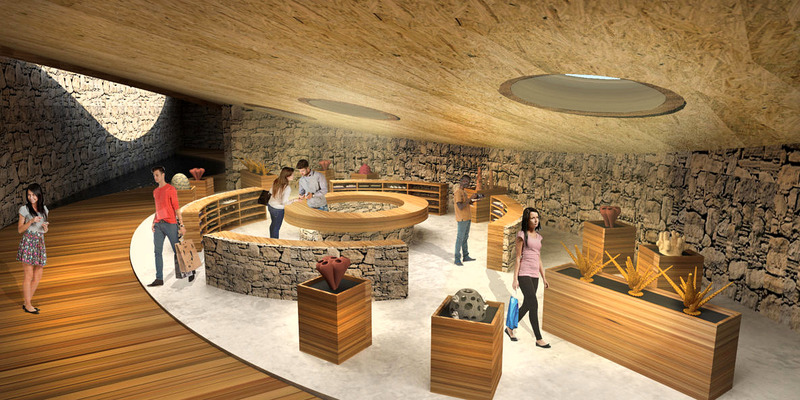 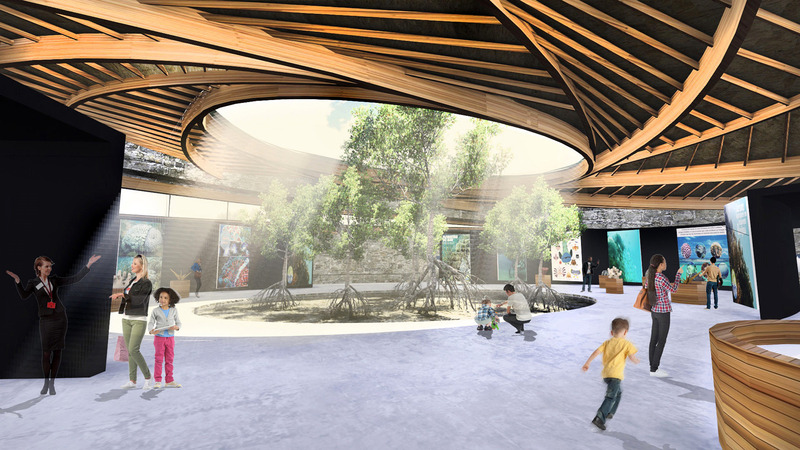 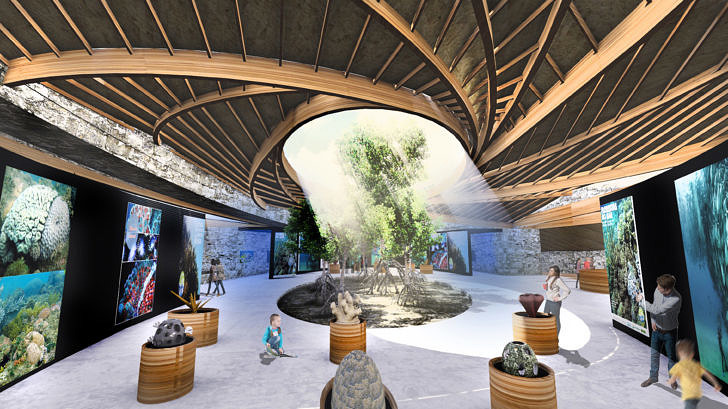 The rock wall and the strategy of aggregating new environments in one single structure allow the museum to be built in stages without ever making the lack of one or more organisms noticed. 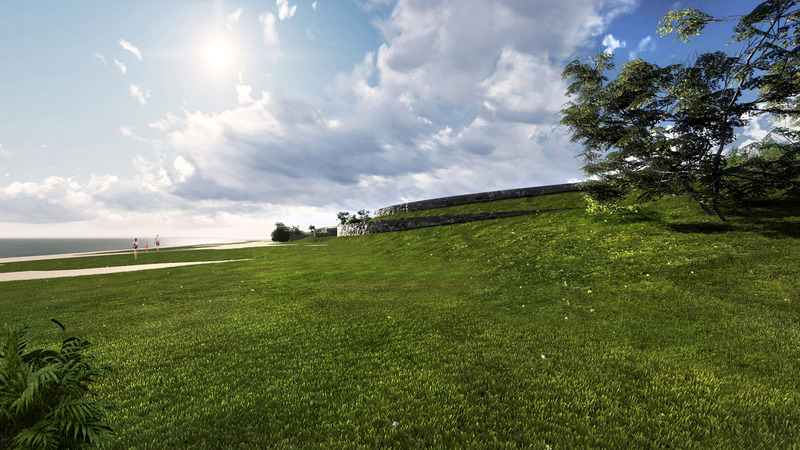 With the project, we preserved the original vegetation of the terrain and will recompose up to 80% of the vegetation of the constructed area by reducing the buildings’ footprint. 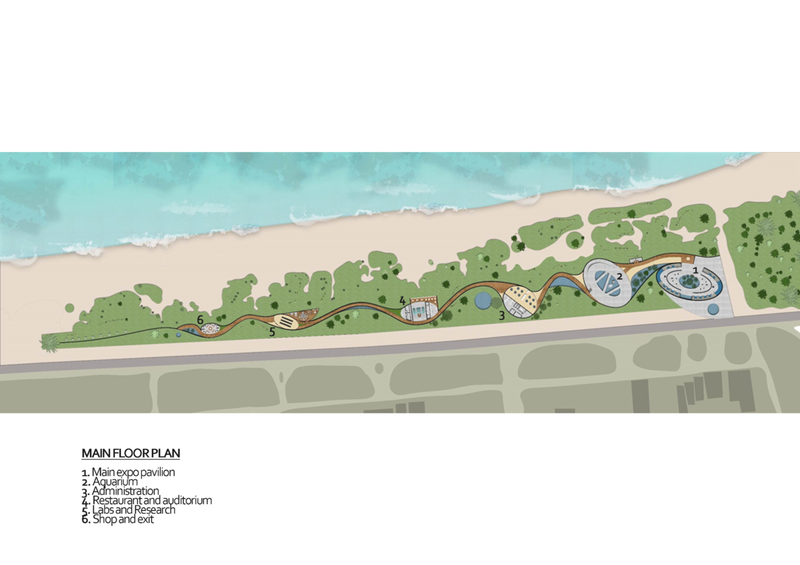 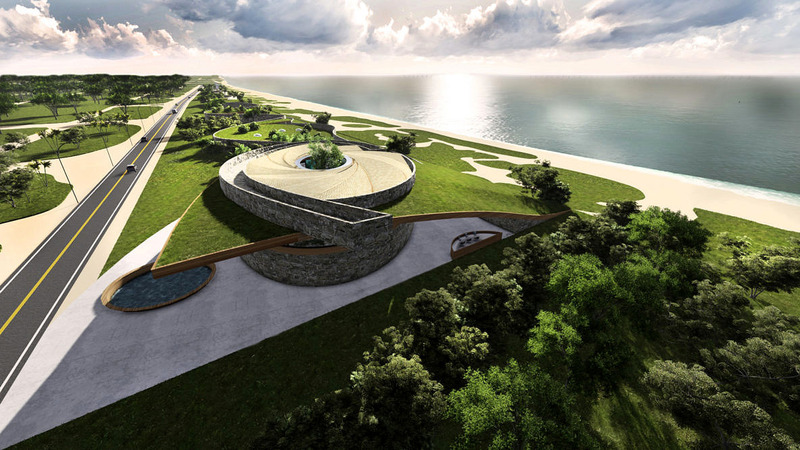 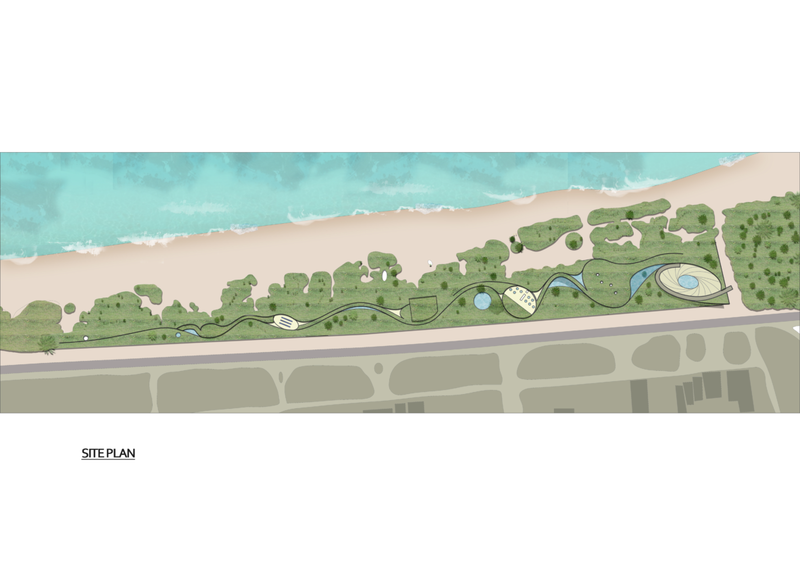 When seen from the beach and the ocean, the museum tends to disappear in the landscape, mimicking and incorporating elements of the topography and the native vegetation. 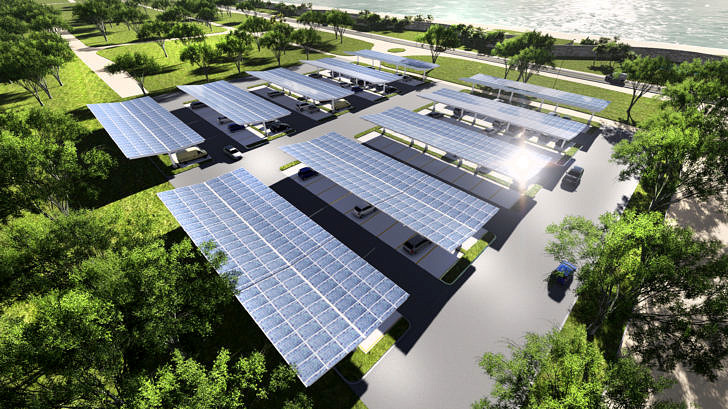 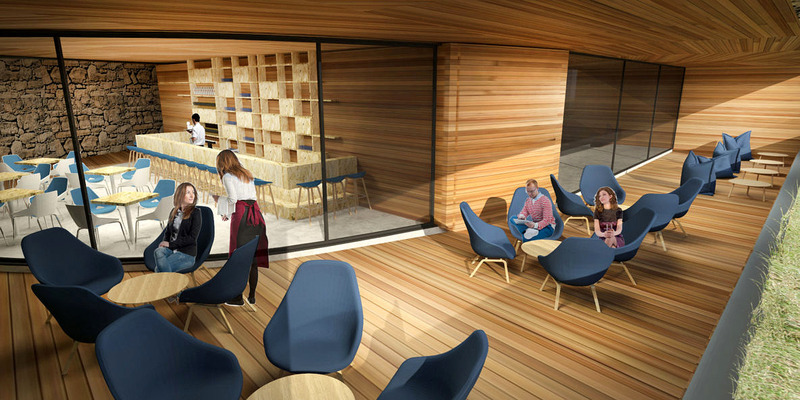 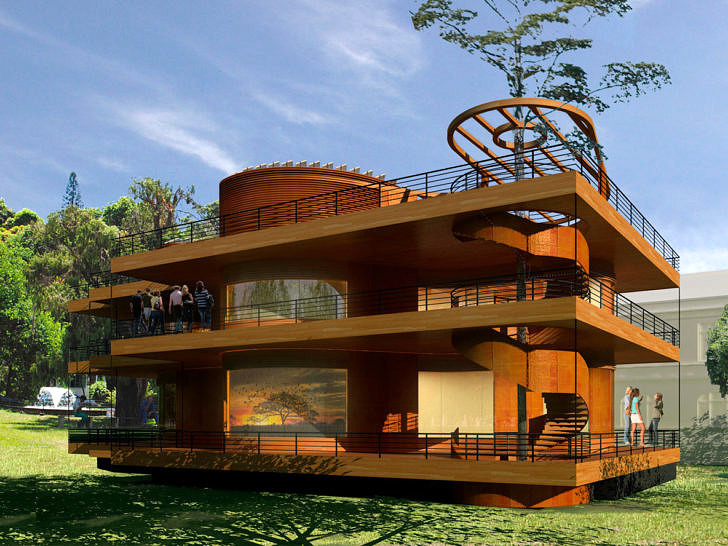 The abundant natural light and the ample passive ventilation will decisively contribute to reduce power consumption. 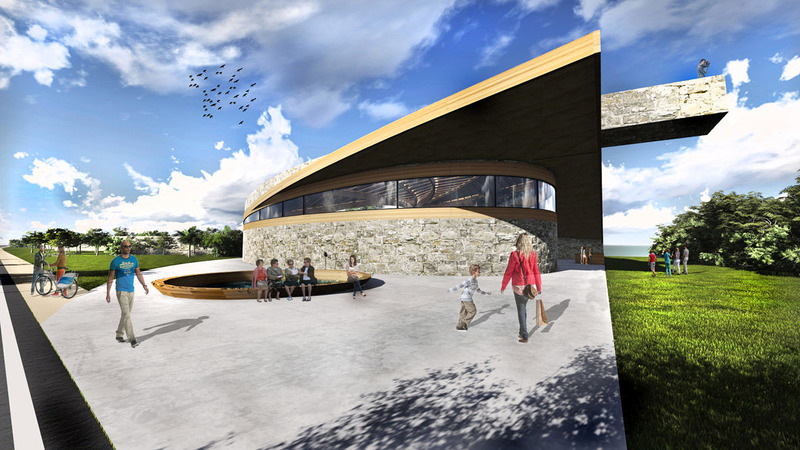 The generation of Eolic energy, the photovoltaic panels, the sewage treatment and the rainwater harvesting will contribute to the museum’s sustainability and its ecologic responsibility. 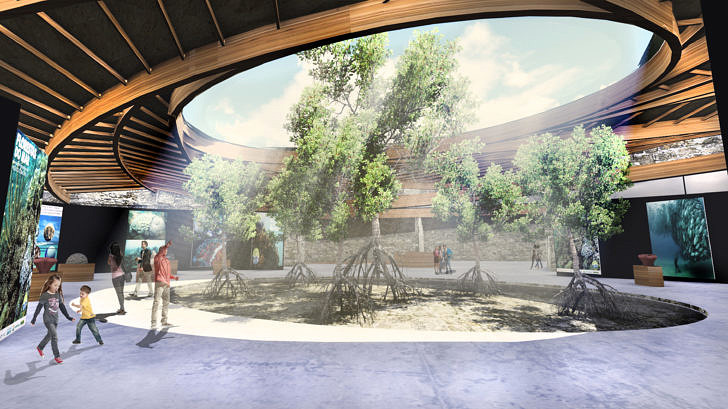 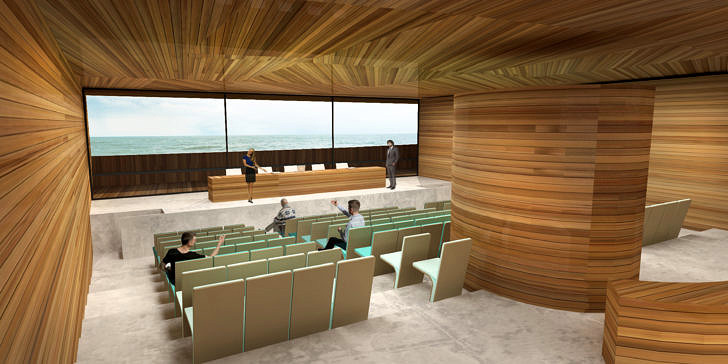 The materials used in the construction came from nearby regions, such as the wooden tiles (taubilhas) and the eucalyptus glulam structure, and they complement the list of actions aiming a low consumption of energy and the use of renewable resources.